CHICAGO (WLS) -- Riot Fest and Saint Anthony Hospital reached an agreement Tuesday allowing the music festival to go forward in Douglas Park this weekend, representatives for both groups said. Saint Anthony Hospital withdrew their request for a temporary restraining order. In a joint statement, the music festival and the hospital said that misunderstandings had been clarified and access to the hospital has been guaranteed over the weekend. The two parties agreed on compromises including restoring parking on 19th Street in front of Saint Anthony Hospital, building pedestrian barricades on the west side of California Avenue and sound monitoring within the hospital to protect patients. Representatives also said there will be continual monitoring of traffic flow with the promise that if traffic congestion makes it difficult for emergency vehicles to get to the hospital, traffic will be closed. Both sides also acknowledged high passions since the hospital filed suit on Sunday. "Both sides regret their aggressive statements," the joint statement said. "Saint Anthony Hospital acknowledges that Riot Fest was not lying and Riot Fest acknowledges that Saint Anthony Hospital was not motivated by financial gain." 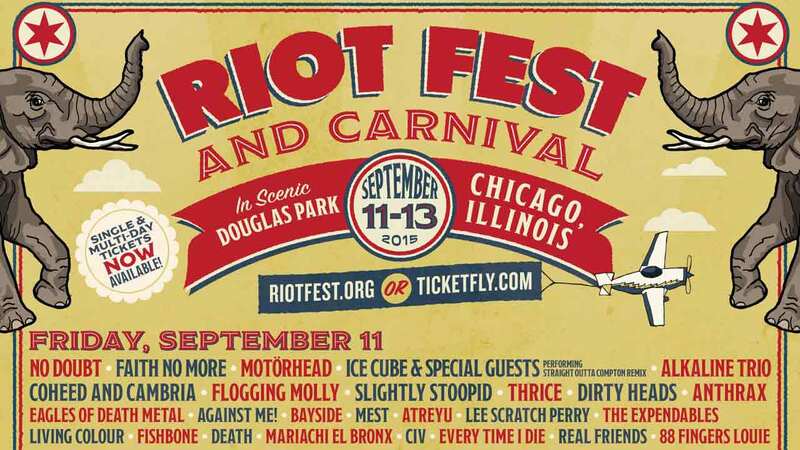 Riot Fest will be held in Chicago's Douglas Park from Sept. 11-13.